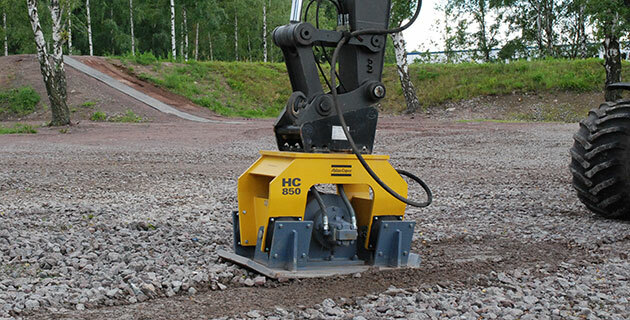 Compaction Plates offer a safe solution to soil and ground compaction. 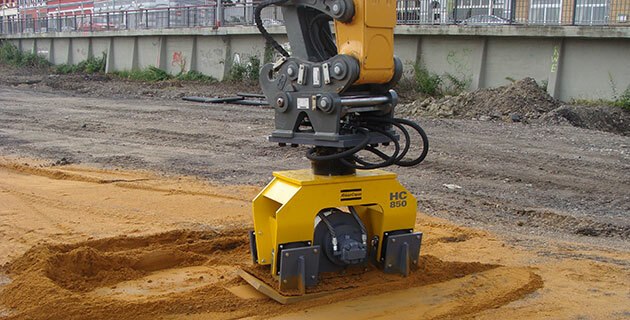 These hydraulic excavator attachments are designed to increase productivity and safety on-site, and are able to compact up to 50 to 60 cubic yards per hour. Safety is a key feature with this attachment as it keeps operatives out of trenches whilst compacting and are much more productive than handheld units. In a direct comparison, Compaction Plates have a higher degree of effectiveness than rollers giving greater impact force per square meter. Compacts soil in trenches, foundations, and on slopes. Available to fit 2 – 30 ton excavators. Comprehensive range of compactors are available with different plates available for varied trench widths. All excavator must require a standard breaker circuit. Also known as Whacker Plates and Vibrating Plates. Always make sure load is appropriately stable and well-balanced.